How To: Find my Player ID? Those that failed to muster for the month of April have been flagged. Changes will go in effect 14APR19, contact 1LT V.Roberts immediately if your name is on this list or risk removal or transfer from the unit. 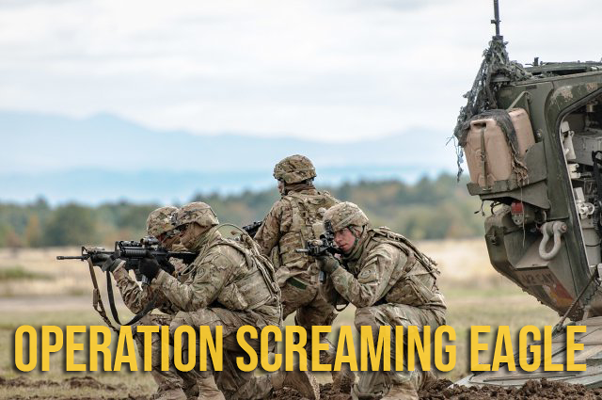 March 22nd, 2019 -- Alpha Co. of the 72nd Airborne Division begin preparation for deployment to Bosnia. The unit is scheduled for three weeks of field training in Italy. Deployment (APR 13 - MAY 18). The division will deploy to Bosnia as part of a humanitarian mission mid-April. Monthly goal is $200/month. This covers the costs for our website, ArmAClans, ArmA servers, and TeamSpeak3.